Chant is finding a new and widespread audience throughout the world today. 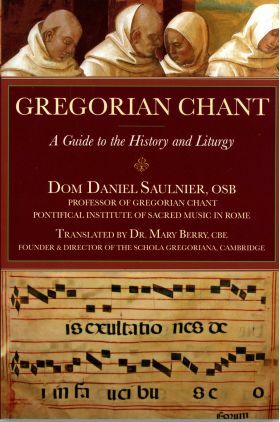 Gregorian Chant brings together two of the forces that have fueled this modern-day chant revival: The Abbey of Saint Peter of Solesmes, France, and the late Dr. Mary Berry, who translated this unique work. A compact and scholarly book, Gregorian Chant offers a fascinating tour through chant’s historical and musical origins, showing the role that chant plays in the history and liturgy of the Western church. Broad themes are discussed, such as the Divine Office and the Mass, but also detailed subjects such as psalmody, cantillation, modes, and pivotal chant manuscripts. Gregorian Chant tells the story of how this unique form of music and worship functions-and has the power to enhance and revitalize worship.